CFH has designated April 11 as the day to acknowledge how important it is to really know what’s in the foods and beverages we feed to ourselves and our families – and to share the “411”. Visit our website to check out some of the things you can do to participate in this national day of communal education and acitivism – one of which is to sign our petition to properly label products containing high fructose corn syrup, or HFCS. In this alert we’d like to re-focus your attention on another category of foods and beverages long overdue for accurate, informative labeling – those that contain genetically modified ingredients, commonly referred to as GMOs. While the push continues nationwide to pass laws requiring the labeling of products containing GMOs, so far it has been unsuccessful. Commemorate Read Your Labels Day 2014 and make sure this success won’t elude us much longer by learning more about the issue – and sharing what you learn with friends and family. Recently we told you about the GMO Mini-Summit, a congregation of 20 of the world’s leading experts — such as Jeffrey Smith, Robyn O’Brien and Vandana Shiva — sharing breaking news about the health and environmental effects of GMOs. 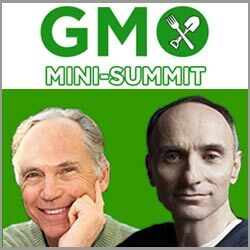 All the compelling content – including the additional interviews with experts conducted over the five weeks following the Summit – are still available in the Empowerment Package, a digital download of all 9 GMO Summit and all 9 Second Wave Presentations. Get the Empowerment Package, and 50% of the cost will be donated to CFH. Get informed and share it with friends and family, all the while knowing you are also empowering us at CFH to continue our work.